All over the world many are searching for lasting peace and fulfillment, rich and poor alike- Who would have thought that the answer has been here. Now are we free in truth. 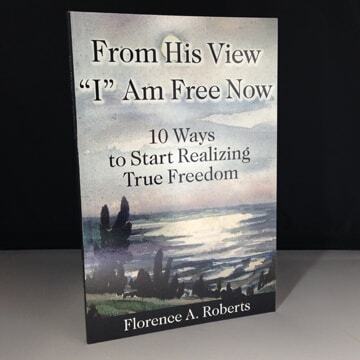 In this new nonfiction book FROM HIS VIEW "I" AM FREE NOW the author has simply shared some of the spiritual insights she has gained into: effective prayer, marriage, relationships, money, work, education, health, fear, love, safety, happiness and true freedom since studying Science and Health with Key to the Scriptures by Mary Baker Eddy together with her Bible. Her work is an invitation for willing and sincere truth seekers, who are reaching out for an understanding of God, to help them do their own study. It is not an intellectual book; it is to be read with a humble heart, that is ready to be led to the Truth that makes us free, as Christ Jesus promised. She gives practical examples of how a life can be transformed when one reaches out to God for the understanding of man's true self and freedom.